Do you want to make your websites better, be a better marketer and overall be more successful at the work you do? Hopefully your answer is yes and that’s why you’re reading this, at least I am assuming it is. Regardless of your reason, and getting to the point, I can save you some time (and money) straight away. Below are what I feel are ‘Five of the Best & Free Tools,’ which have made me better at what I do, or at least have made the sites I work on much better. None of these are a secret, and other seasoned pros may have already have been exposed to/are using these now. Still with me? Great, let your curiosity get the better of you for a moment. Once you’ve been through the following tools, I challenge anyone to give me a reason to not at least give one of these a try if you’re not using them already. CloudFlare is one of my favourite things at the moment. I’m not going to list all the features and reasons why it could change how you look at performance & security of your website – that’d take forever. CloudFlare is relatively quick & easy to setup if you’ve got the ability to change name servers on your domain. Still not convinced? 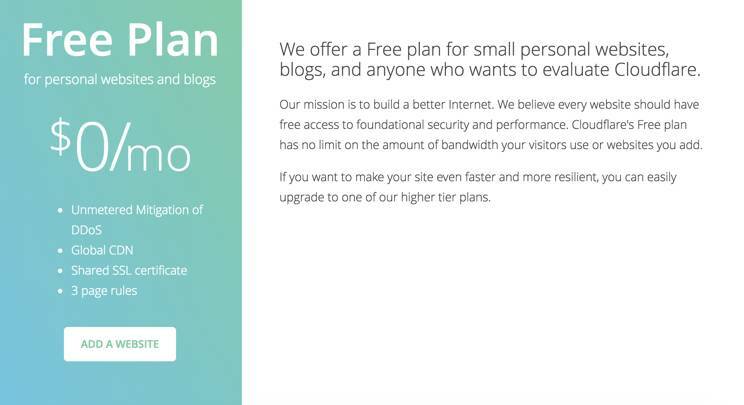 Have a look at their features page if you’re not already sold on it at https://www.cloudflare.com/plans/#compare-features. The $25 tier provides so much more and can take care of the vast majority of image/script optimisation, which can make the difference for so many websites. If nothing else, becoming aware of what CloudFlare can do for your website will help you become better at understanding/improving website performance if this is relatively new to you. Google Tag Manager was launched over 5 years ago now, and being honest, it has taken me at least 3 years to warm to it. For those who don’t know, a Tag Manager is a way of managing the different tags (code snippets), which run on your website. Critically, once the tag manager snippet is installed, the rest relies on little (or no) code changes. 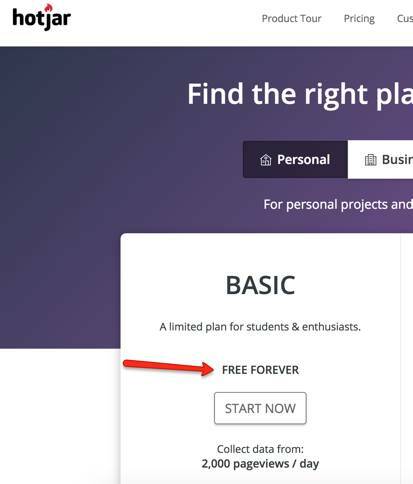 How is this going to make your website better? To manage expectations here, adding new tracking code isn’t going to do it. Although, a Tag Manager means you can act quicker and track more for less cost of implementation. Google Tag Manager (GTM) is the most likely one you’ll come across, and much like the rest of Google’s growing suite of tools (Analytics, Optimise, Data Studio) is free. Unsurprisingly, it makes it super easy to integrate Analytics, Adwords and Optimise as well as other third-party tools. What makes this a ‘no brainer’ for something you can take away & setup right now, is the ability to import pre-existing setups. With the right boilerplate, it’s possible to be up & running within minutes. All you need to do is add-in/change the relevant details (all handily labeled in the interface), test & then you’re ready to go. If you’re not obsessed by Page Speed you’re not appropriately worried about the implications of a poorly performing website. Whether you are using Google’s Page Speed Insights, measuring the page speed, using a Y Slow rating or a combination, how you decide whether a page performs well or not is not always clear-cut. TTFB (time to first byte) was often considered a ranking factor until it was debunked, however, now Lighthouse presents two new options that anyone with Chrome can easily access. 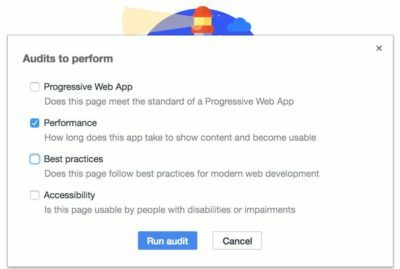 The Best Practice (often thought of as SEO) audit, of the four possible, that Lighthouse provides have gotten a lot of attention, but is not what I’m interested in here! Page speed in the conventional sense usually measures when a page is “done”, which includes other third-party scripts etc., but aren’t essential for the user. ‘First meaningful paint’ is when “the biggest above-the-fold layout change has happened, and web fonts have loaded” (https://developers.google.com/web/tools/lighthouse/audits/first-meaningful-paint). ‘Time to first interactive’ is when the page can be interacted with. 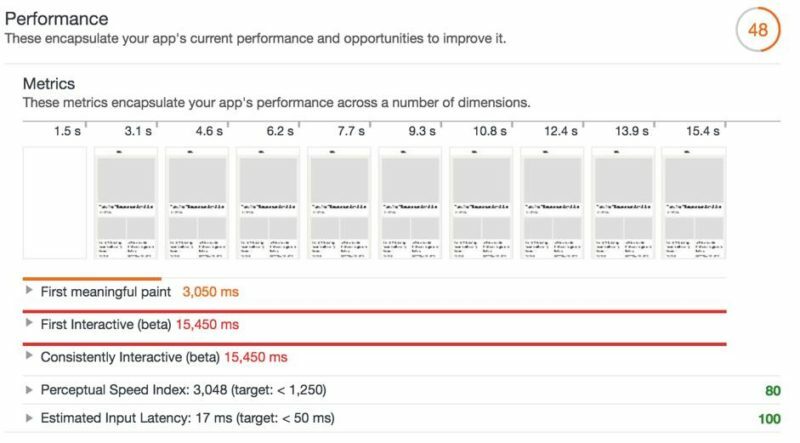 Not only does Lighthouse present these new metrics, but it also provides measures and means to start improving on them (although you may well need development support here). Still unsure how exactly Google is treating these at the moment, but if you want a meaningful way of measuring how usable your site is, this is it! Everyone should be worried about user experience (or, more broadly customer experience – but get the two mixed up at your peril). So, if monitoring how people use your site is not on your radar, Hotjar is probably one of the quickest wins there is! More attractive still is the “FREE FOREVER” basic tier which allows you to collect data from 2,000 pageviews per day. Not going to touch the sides for some larger sites, that’s for sure, but for smaller businesses, or those who want to get started, there’s almost no reason to not give it a try. The next stage after collecting usage data is setting aside the time to analyse it. This does not mean jumping to any conclusions with too little data, but instead taking a good look at the scroll depth & heat maps of your pages. That’s not the best part, however, the user recording feature WILL change the way you think about your website – I (almost) guarantee it. Google Data Studio is a pretty awesome tool given its price (free) since they started driving it really hard. It is far from a perfect product and real power-users may be itching for a little more, but anyone wanting to get closer to their data is in for a treat. This will not make your website better directly, but it’s moreover the habits you get yourself into by reporting/checking your key metrics/stats. Being a Google product, it hooks up into Google Search Console, Analytics & Adwords easily. The possibilities are (if you’ll forgive the cliché) endless here, so knowing where to start can be a bit daunting. There are many sites like Data Studio Gallery which will give you some inspiration and ideas around what is possible (https://datastudiogallery.appspot.com/). What’s more significant, is to be really clear about what is important to you, the key tasks and what will aid your website’s goals. These are five of my most choice tools which cost nothing and can greatly improve the impact you have on your website if used in the right way. Whilst I’m a massive advocate for all the tools mentioned, I’m in no way affiliated with any of them, not am I saying all will be of equal use to everyone (all websites/requirements differ). Go out there, try a few out. Learn more about them, test & measure. It’ll be worth it!